Over the past few years, we’ve seen blockchain as a rapidly growing and emerging technology in various fields such as supply chain, logistics, finance, healthcare and many more. while this ledger technology was planting seeds towards digital transformation, multiple blockchain platforms were introduced to solve complex business problems. Every platform has its own benefits and drawbacks. this makes it difficult to choose which platform is more suitable for your next project. 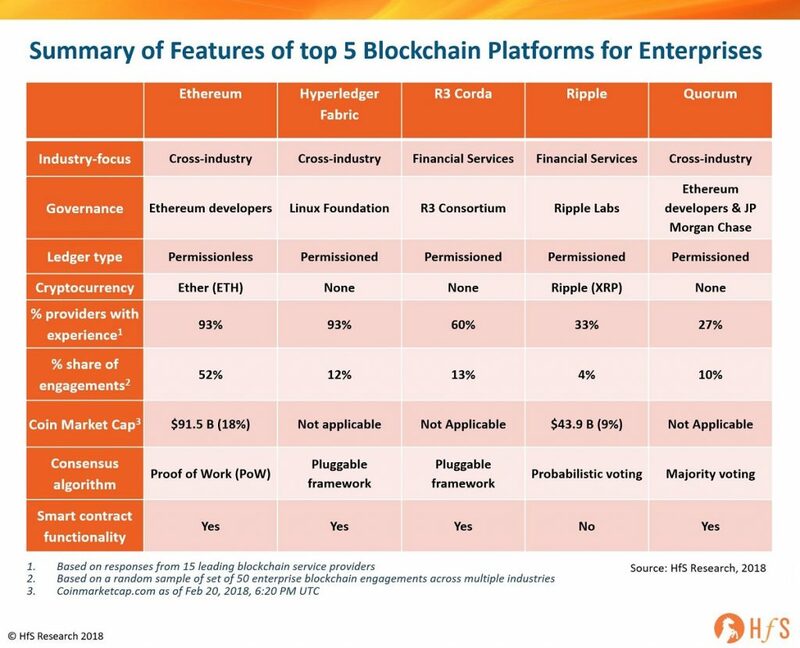 keeping this thing in mind, www.horsesforsources.com published a blog that differentiates and compares some core features between all these top 5 blockchain platforms. We hope this information seems helpful to you. you can also find more detailed information regarding these 5 blockchain platforms at horsesforsources.